India's real GDP to grow at 7.2% in 2018 and 7.4% in 2019: The credit rating, research, and risk analysis agency's outlook on Indian banks (Baa2 stable) over the next 12-18 months is stable due to the strength of the economy and weak but steady asset quality. Capitalization at public sector banks will remain weak but government support will provide relief which means public sector banks will depend on government capital injections to meet minimum capital requirements, the report said. Moody's Investors Service's annual Banking System Outlook on India said public sector banks will continue to show weak capitalization, and depend on government capital injections to meet minimum capital requirements. India’s real GDP to grow at 7.2% in 2018 and 7.4% in 2019:: Moody’s Investors Service’s annual Banking System Outlook on India said on Monday that India’s real Gross Domestic Product (GDP) is likely to grow at 7.2% and 7.4% in the year ending March 2019 and in following year, respectively, driven by investment growth and strong consumption. 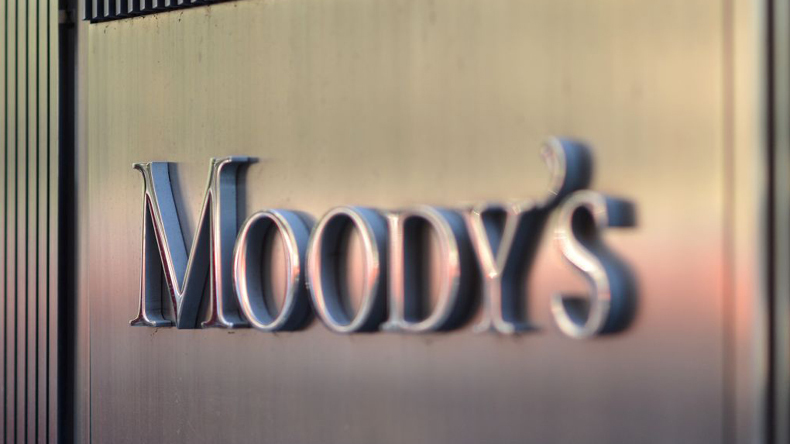 Moody’s said the operating environment will be stable, supported by robust economic growth. However, liquidity constraints at non-bank finance institutions (NBFIs) and rising interest rates will prove a drag on growth. The credit rating, research, and risk analysis agency’s outlook on Indian banks (Baa2 stable) over the next 12-18 months is stable due to the strength of the economy and weak but steady asset quality. Capitalization at public sector banks will remain weak but government support will provide relief which means public sector banks will depend on government capital injections to meet minimum capital requirements, the report added. The stable outlook is based on Moody’s assessment of six drivers: operating environment; asset quality, capital; funding and liquidity; profitability and efficiency; and government support. According to the agency, banks are largely deposit-funded and liquidity coverage ratios of all banks are above 100 per cent. Funding and liquidity of public sector banks will remain resilient, notwithstanding their solvency challenges. On asset quality, Moody’s says that this factor will remain stable but weak, as the clean-up of legacy problem loans nears completion and corporate health improves. In particular, the banks have recognised the bulk of legacy problem loans and will start making recoveries from large resolved nonperforming loans (NPLs). This will help shore up asset quality, although the degree of success in the resolution of large NPLs will determine the extent of asset quality improvements. However, the banks’ profitability will improve but stay weak, because of high credit costs. Moody’s rates 16 banks in the country which includes 15 commercial and one policy bank.